Sanya has been criticized over the problems emerged in tourism market during the past 7-day 2012 Spring Festival Golden Week. 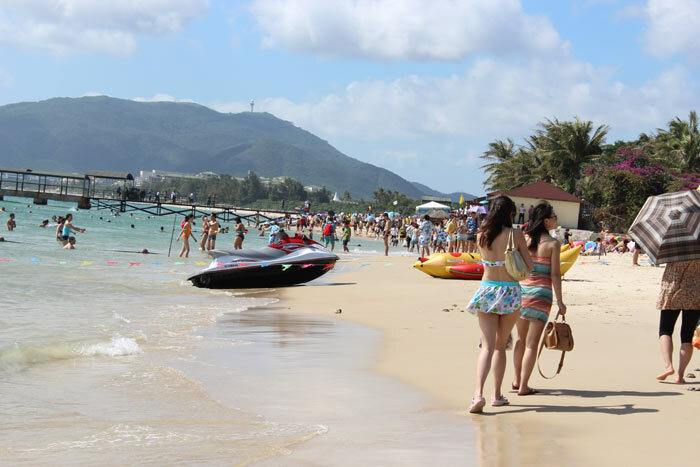 Sanya, as the only tropical tourist city in mainland China, has recently been criticized over its tourism services during the past 7-day 2012 Spring Festival Golden Week. A recent microblog complaining the overcharging of a seafood restaurant in Sanya has triggered heated discussion among netizens on Sina Weibo, China’s equivalent of Twitter. 3 tourists were charged RMB4,000 for three dishes in a seafood restaurant in Sanya Bay during the CNY holiday. The Industrial and commercial Department of Sanya responded quickly to the case on 29th Jan. and has required the restaurant to suspend its business and rectify. However, many netizens have also expressed similar complaints on price hikes and other illegal behaviours in the tourism market during their holiday trips to Hainan and Sanya. According to a survey on Sina Weibo (http://t.cn/zOv66vl), over 72% of those surveyed said they had experience of being cheated or overcharged when travelling in Sanya. The weeklong Spring Festival holiday, which started on 23rd and ended on 29th Jan., saw more than 484,000 tourists flooding to Sanya to spend their holidays, according to the hinews.cn. In some restaurants, cafés and hotels, prices were raised by 30% to as much as 300% during the holiday. Some 5-star hotels charged as much as RMB2, 000 to RMB3, 000 for a standard room, which is usually around RMB1, 000 during non-holiday days. Taxi fare from the airport to downtown Sanya jumped from RMB50 normal meter rate to RMB100 minimum without using meter. Some of the taxis demanded 4 times more than the meter rate for a short distant trip. Many refused to take passengers, citing lunch time, or simply it was booked. The prices of fruits and vegetables had increased by as much as 100 to 150%, depending on their demand. Budget hotels took the rate hike to as much as 3 to 4 times, from a humble RMB80 to RMB350 or higher. Dormitory hostels for backpackers charged RMB150 to RMB200 per bed, compared with RMB50 during non-holiday period. According to a survey by Ctrip.com, a popular travel portal in China, Xiamen overtook Sanya as the most popular tourist destination during this year’s Chinese New Year holiday.